There are situations when the only guaranteed solution is the non-disclosure and confidential agreement. For instance, when employing a given person in a sensitive department like in the management department of the financial department, one might have to sign the template as a binding agreement between the employer and the employee as a trust buildup that the employee will at not at whatever cost disclose any information about the finances or the management strategies to a third party. This agreement gives the employer the security in a competitive market. 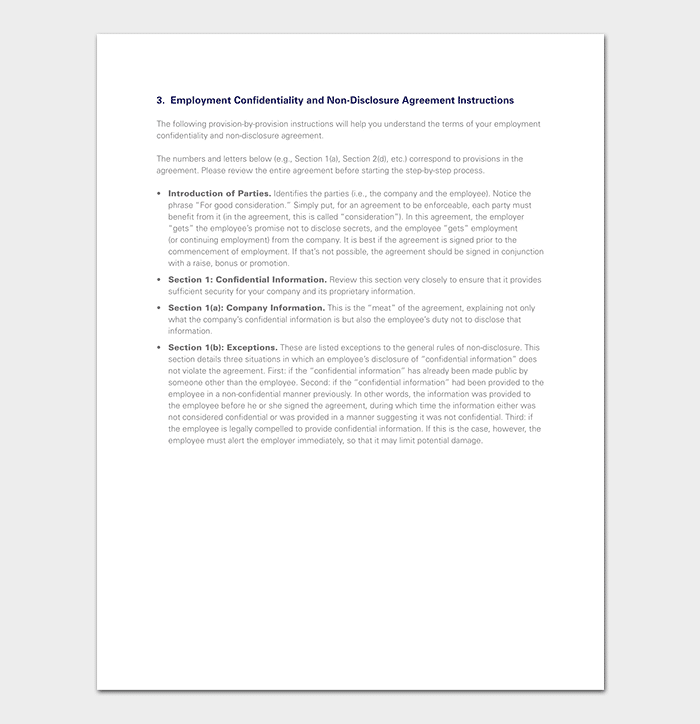 The non-disclosure and confidentiality agreement template give a clear guide on how the employer-employee relationship should be. What is non-disclosure and confidentiality agreement? 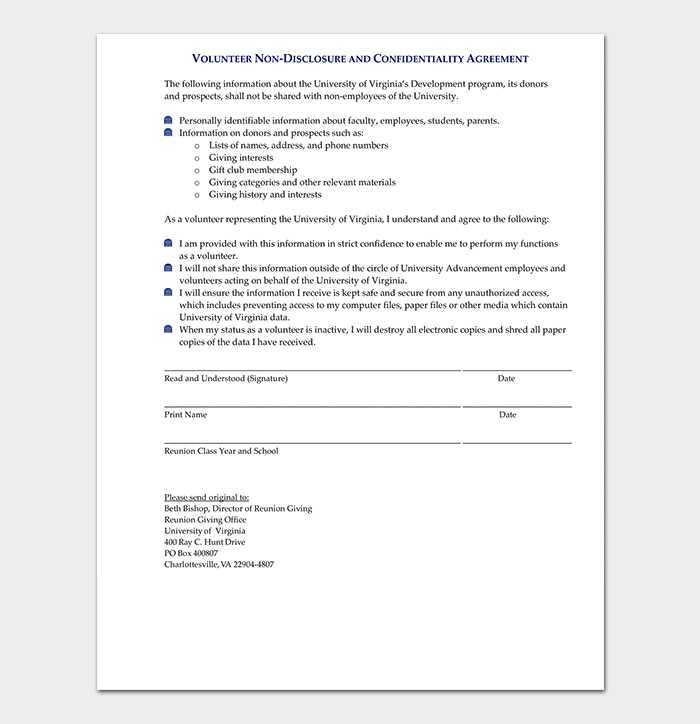 Volunteer non-disclosure and agreement refers to the agreement between an organization and its volunteers to keep any sensitive information from a third party. Some organization pays a very minimal amount to appreciate volunteers while others pay nothing at all. In such instances, the volunteer does not seem to feel like a part of the organization and so he or she can feel free to disclose sensitive information to the third party unless bound by this agreement. 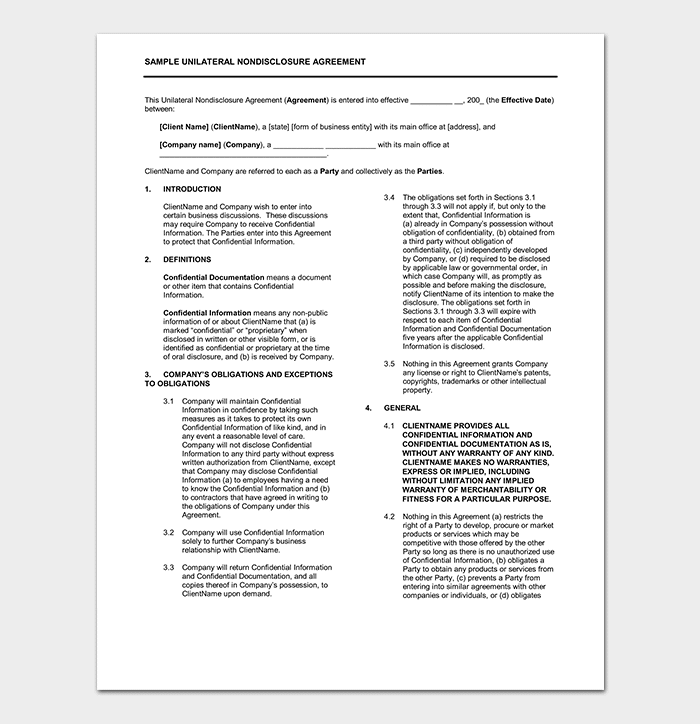 Sample confidentiality agreement sample is simply the samples already designed for you to provide confidentiality between you and another party. Based on the level of confidentiality you want to achieve, you can choose a sample from the wide range we are providing to help you secure your information. There are different samples for employers, public and private sectors which you can choose from. The employee non-disclosure agreement is the binding agreement between an employer and an employee which limits the two parties from disclosing given information about the firm as well as the employer’s contract when need be. As an employer, you become confident that indeed no sensitive information about your firms in terms of finances and the secretive strategies the firm uses. Non-disclosure and confidentiality agreement is the legal binding agreement between two parties which makes given information secretive between them that no third party can share in the knowledge. 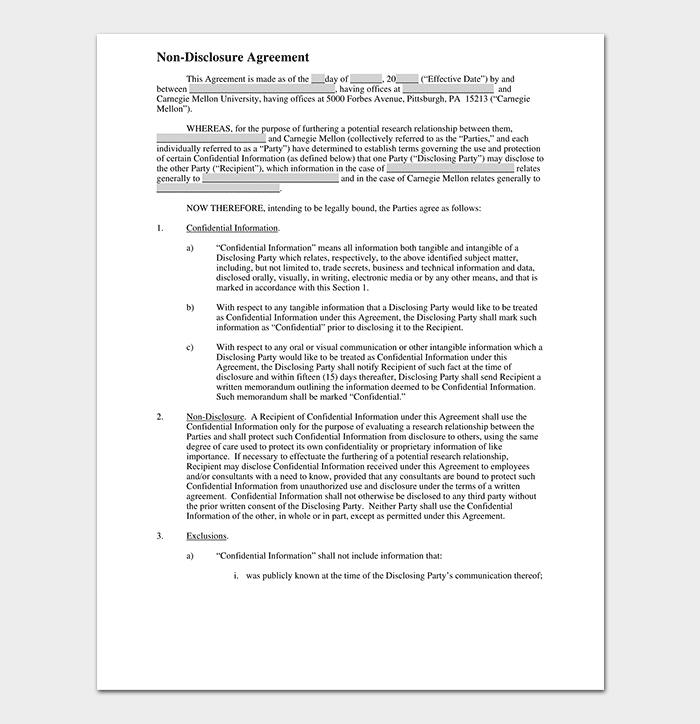 No matter the situation that might arise, once the agreement is signed, there is no way given information covered in the agreement can be shared. This agreement between two parties gives each party the confidence to operate knowing that it is only the two who have some information. One-way non-disclosure agreement: This is a legal binding between two parties, say in a business setting, where only one party gives the information while the other party commits to keeping the given information confidential. 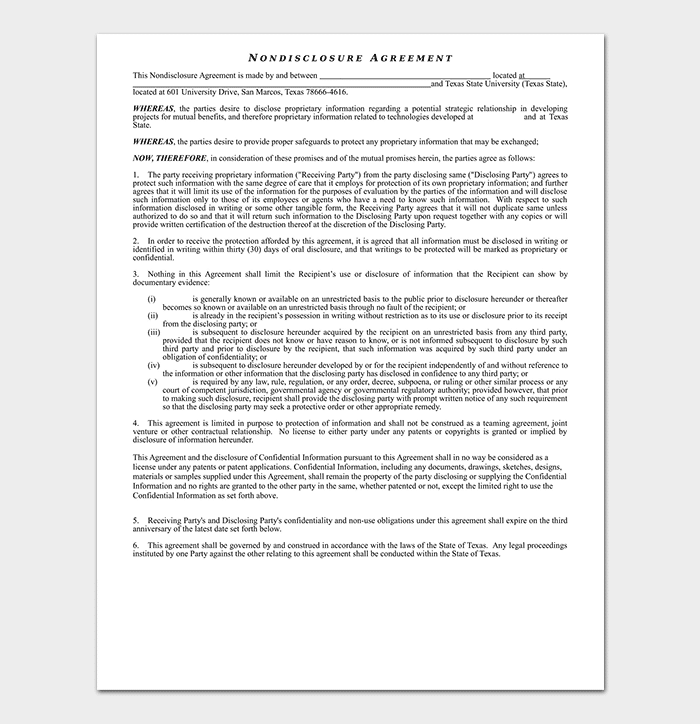 Mutual non-disclosure agreement: This refers to the legal binding agreement between two parties in which both the parties share their confidential information to one another about their business trusting that each party shall keep the information from each party as confidential. 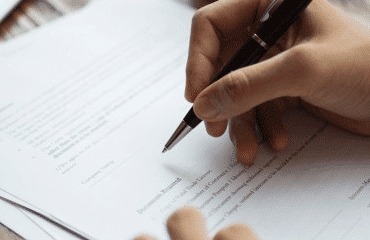 Precedent confidentiality agreement: When you want to get into a merger or acquisition agreement with other companies, you might have to sign a precedent confidentiality agreement before you give out the books of account for perusal. This helps in keeping the financial information about your firm confidential even if our business buyer withdraws from the buying deal. Non-disclosure agreement for employees: Employees have a role to play in keeping some information about your firm confidential even when they leave your company. You can only be sure about this when you sign the non-disclosure agreement for employees. This agreement binds the employee legally not to leak some information about your firm even when they seize to be your employees.